Kimoyes item: 22055 - Bright yellow quality synthetic fabric intended for a young girl's kimono. 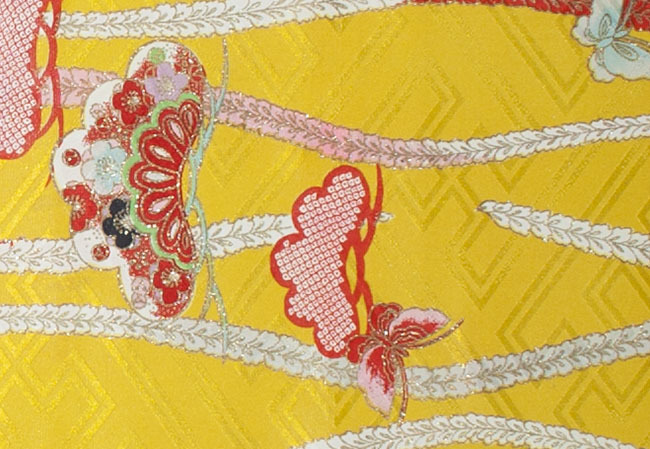 Bright yellow quality synthetic fabric intended for a young girl's kimono. This lovely fabric has a self woven pattern and stunning butterfly and temari pattern.